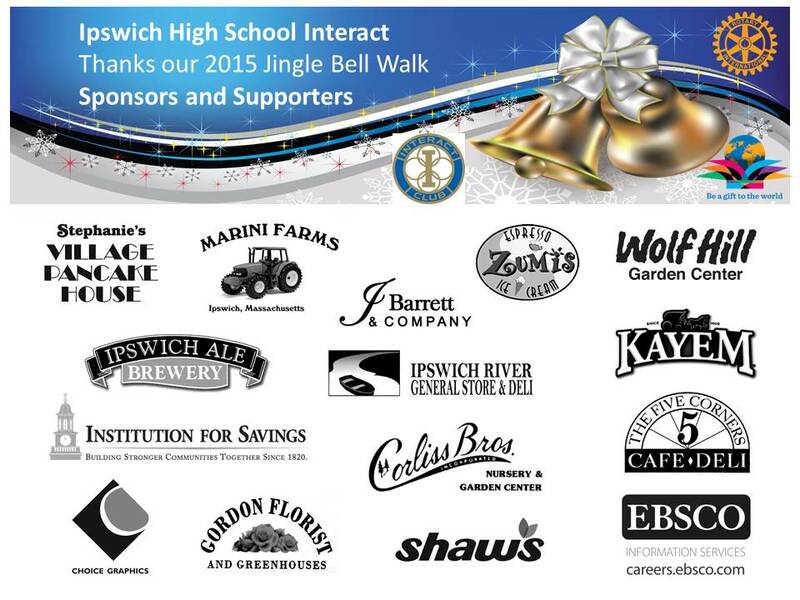 Ipswich Interact thanks it's sponsors and supporters for their help in making the 2015 Jingle Bell Walk a huge success. Ipswich Interact is s Rotary sponsored High School club dedicated to community service. Proceeds from club fundraising events are used to help people in our local and global communities. The money raised from the Jingle Bell Walk is being donated to Ipswich Caring to help provide holiday meals and toys to local families.